Louisville . . . famous sons and daughters . . . and learning! 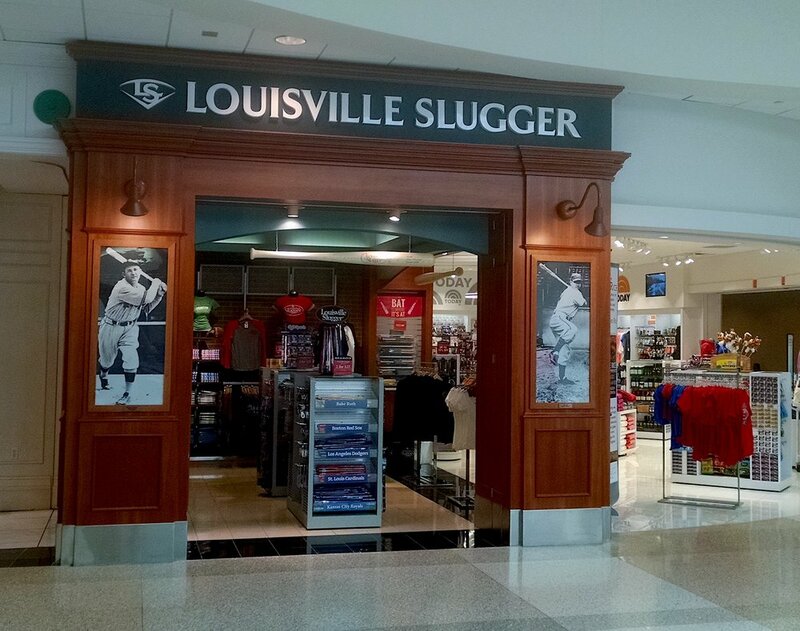 When I was a kid, the only things anyone wanted was a Louisville Slugger. Well the Interactive CE Training spring conference is done and so is my short stent in Louisville. Isn't it interesting how we develop a perception of what place . . . even through we have never been there? My vision of Louisville, while not at all thought out, was something of "blue grass, horse races, and basketball." Arriving in the airport, I was greeted with posters like this . . . It came as a bit of a shock. "Wait . . . What? 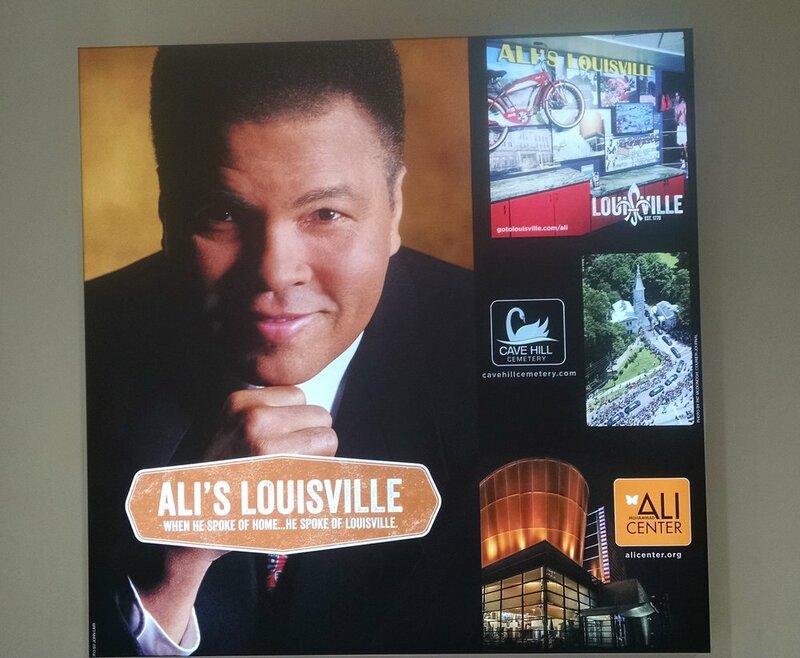 Muhammad Ali was from Louisville?" Yes, he was. Other "big names as well." Tom Cruise, Paul Hornung, Jennifer Lawrence. Maggie Lawson, Diane Sawyer, and Johnny Unitas all called Louisville home at one time. I had no idea. George Clooney and Johnny Depp spent time nearby. Louisville is bigger than I imagined more metropolitan than "down home" in the fell. Yet, everyone has that southern friendliness and sense of hospitality. For example, people providing service in the midwest never say, "You doing okay, Hon?" But I wasn't here to conduct an anthropological analysis of the city. 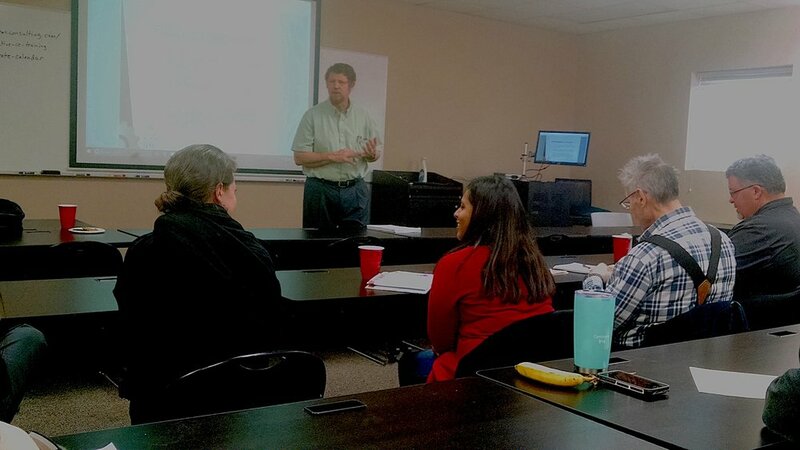 I was here to train a cohort of therapists how to add a new toolbox to their skill set . . . the toolbox of contracting and consulting with organizations. Once again, I heard professionals talk about how the debt of education, low insurance fee schedules and other factors stress today's professionals and make them contemplate if they should "do something else" just to be able to pay their bills. My goal for the training? I told that attendees that the best outcome for me would be to get an email in 6 or 12 months telling me that they had a signed contract and that that contract had allowed them to . . . replace an old commuter vehicle, start a college fund for their kid, create or fund a 401K, or perhaps just take a weekend trip with their family. That's what it's all about helping these professionals benefit from the value that they give to others. It was especially fun to reconnect with friends from the past . . . former students and colleagues from my days of teaching. Thanks to everyone who attended and participated in the training! Thanks to Interactive CE Training for brining us to Kentucky! It was a great day and a great event. Looking forward to continuing to support these great professionals throughout 2018 and beyond. Next month we'll be attending the Prairie Family Business Association's annual conference. An exciting event that supports people in family businesses (like HSC) and the providers that help support them. Free Private Practice through Contracting eBook. We are now accepting inquiries for our 2019 Contract and Consulting Coaching. For more information, or to apply, email Bryan.